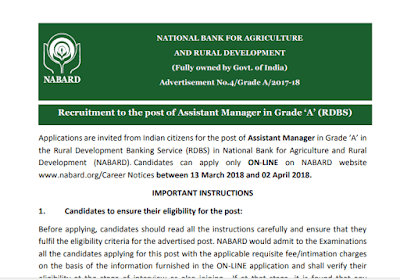 NABARD (National Bank for Agriculture and Rural Development) has released a Recruitment Notification for the post of Assistant Manager in Grade ‘A’ in the Rural Development Banking Service (RDBS) in various disciplines. 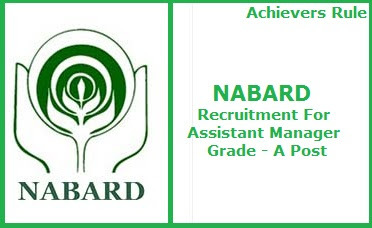 The aspirants must apply online by visiting the official website of NABARD. 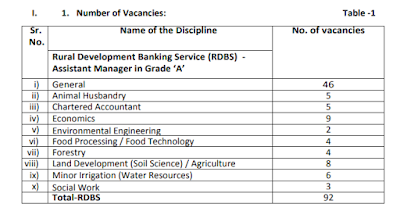 There are different eligibility criteria for different posts.